The rainbow is known to be a symbol of hope. Lately, it has been a more positive motivating force and an inspiring symbol for the LGBTQ community. It symbolizes the natural elements, such as sunlight, and the human well-being such as peace, life, and pride. It has been first waved as a flag but now has found its ways into artistic intuitions and mediums such as stickers. Show your love and support for the LGBTQ community with our selection of LGBTQ rainbow pride stickers. Browse below to view the different sticker designs you can avail and gain insight on where you can use them. You may also see our heap of unique Mac stickers to get your personalization projects started. Let’s start with the original colors incorporated on the LGBTQ flag. These days, the color pink is no longer included for its rarity in fabric selection. But it still represents well the origins of the LGBTQ movement and the evolution of their colorful symbol. It is available in a 3.5” size and can be printed using UV protected inks to keep the sticker colors intact for outdoor use. 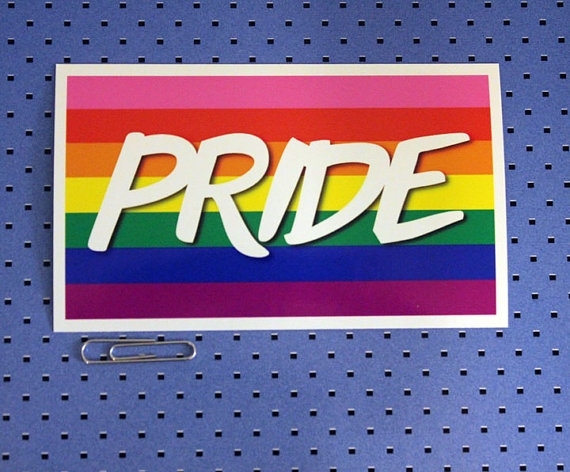 This specific LGBTQ rainbow sticker is intended for indoor use only but can still be printed on a durable material. It applies curves to the designs to create softness and can be used for stationary, planners and so on. In addition, it is also on sale for a limited time so grab on these cute shooting star rainbow stickers for a worth it purchase. This pride rainbow flag incorporates the original LGBTQ flag colors but is trimmed with a white border. The materials ideal for use in printing this sticker is vinyl or eco-solvent ink which are special kinds of UV protected inks. 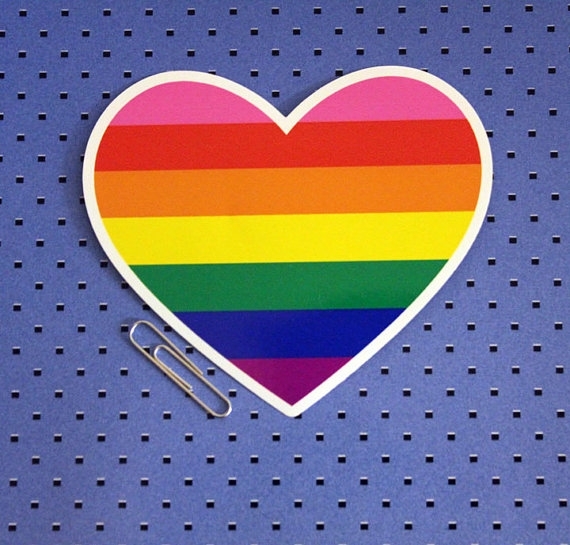 This LGBTQ Pride Heart Sticker best represents love, peace, art, respect, and pride. Use this sticker to show your love and support for the LGBT community. On the technical side, this sticker comes along with the option of choosing your desired sticker paper material. 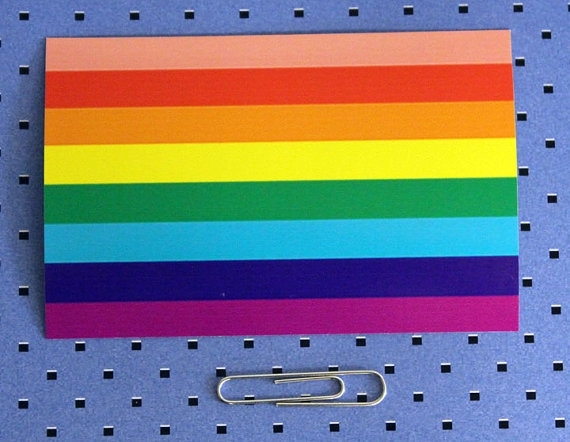 This gay pride rainbow flag sticker comes in a size of 4” wide and is intended both for indoor and outdoor usage. This sticker can be printed on a hard-wearing material with the use of UV protected inks. 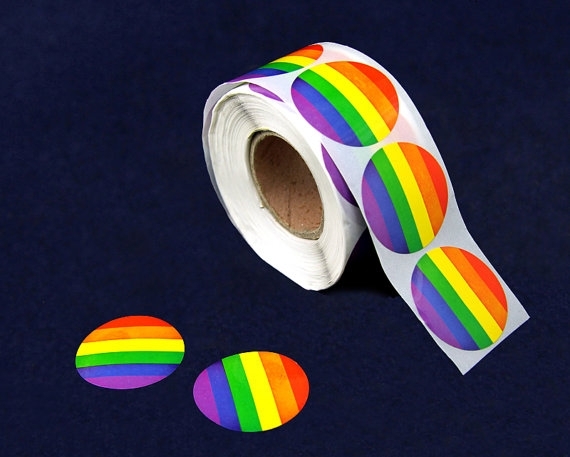 Now set in a redesigned LGBTQ flag sans the color pink, this is a roll with 500 stickers. It is provided in an eleven and a half inch size. Use these round rainbow stickers to show your love and support for the LGBT community through arts and crafts projects and stationery. If you feel that it should be taken on the streets, these stickers could be used for street art and sticker bombing. 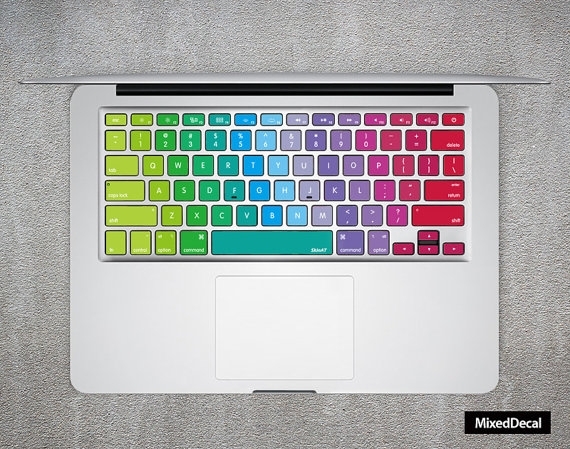 For a more colorful and inspiring exterior in addition to your MacBook, then these individual keys are your perfect go-to. You also have an option of specifying your type of device and style for your keyboards, be it the characters and the language applied. Stationery. Add color, design, and pride in crafting your art projects. These LGBTQ rainbow pride stickers are not space consuming, allowing you to add more stickers along the way for an additional colorful touch. The Shooting Star Rainbow Sticker is a perfect choice for you. Personalization. Stickers are a great way to personalize your laptops, books & notebooks, and personal belongings even on your vehicle bumpers. Street art/sticker bombing. Let your support for the LGBT community be visible in the streets by applying and bombing these stickers out. Just make sure the material you’re going to use will be intended for the outdoors; they need to retain the colors and design in the long run. Also, consider the surface so it will be laid flat and not easily torn.